This is one of my favorite designs. I popped this on a new mug as soon as it was designed. I just REALLY love it. For my own mug I did drop the travel cup from the design and scale up the ‘Holly Jolly’ simply because I put it on a small mug and I wanted it to cut smoothly and easily. I love it! Looking at it makes me super happy <3 I hope you guys like it as much as I do. 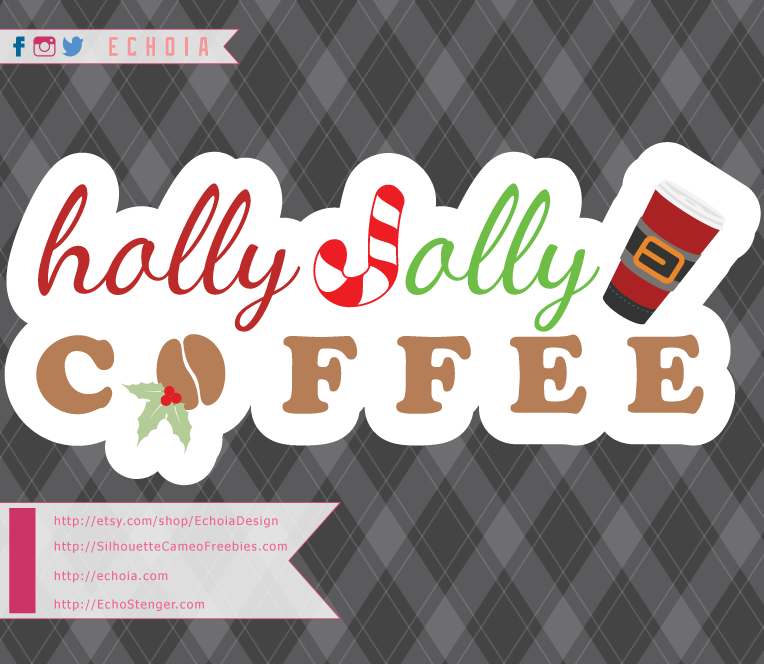 Remember, these free .studio3 files are for personal use only <3 If you are in need of commercial licenses, or different file types, please visit EchoiaDesign on Etsy!